Home / All Samsung Baseband Unknown Fix Tool Free. / videos / All Samsung Baseband Unknown Fix Tool Free. 1# You need your phone fulley root. 1# Baseband Fixed Adb Mode. 2# Baseband Fixed Download mode. 3# Drk Repiar Fixed Adb mode. 4# Cp/Modem Repiar Adb mode. 5# Sn Repiar Adb mode. 6# Frp Download mode Frp Adb mode. 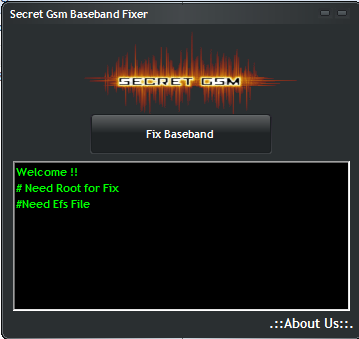 How To Fix Baseband On Samsung Phone? 4# Download Tool on offical site. 6# Connect your phone on tool. 7# Now click fix baseband buttion. 8# You can fix baseband.